The truly amazing story of how the photon is linked to gravitational collapse —intimately connected through its primary role in the veritable cause of gravitation. ■ Another major success for DSSU theory, as it reveals some amazing new insights! The main headliner is the “discovery” of the mechanism by which mass undergoes a total conversion to energy —mass-to-energy conversion with unequivocal 100% efficiency! The theory has uncovered the source mechanism of cosmic gamma particles! As everything else in the DSSU, it is a perfectly natural process. ■ It is explained how the photon is responsible for matter, gravity, and Superneutron Stars (what astro-scientists mistakenly call stellar black holes). A perfectly natural explanation with no breakdown of physical law, no infinite-density speculations, no singularities. ■ For the first time in the history of astrophysics, the new spectral shift mechanism has been applied to black hole physics —making this the second application of the velocity differential spectral shift since the phenomenon entered the scientific literature in 2014. 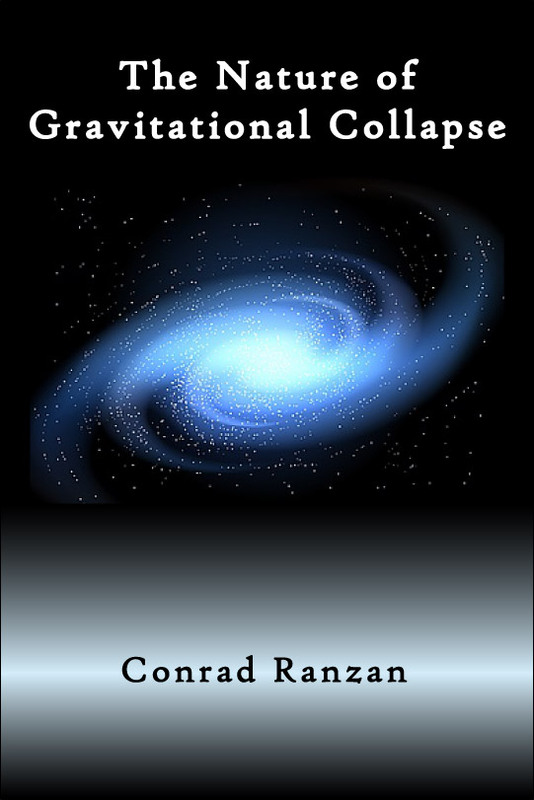 ■ The Book mitigates a historical tangle of conflicting ideas —the misunderstandings surrounding the nature of gravitational collapse and black holes. 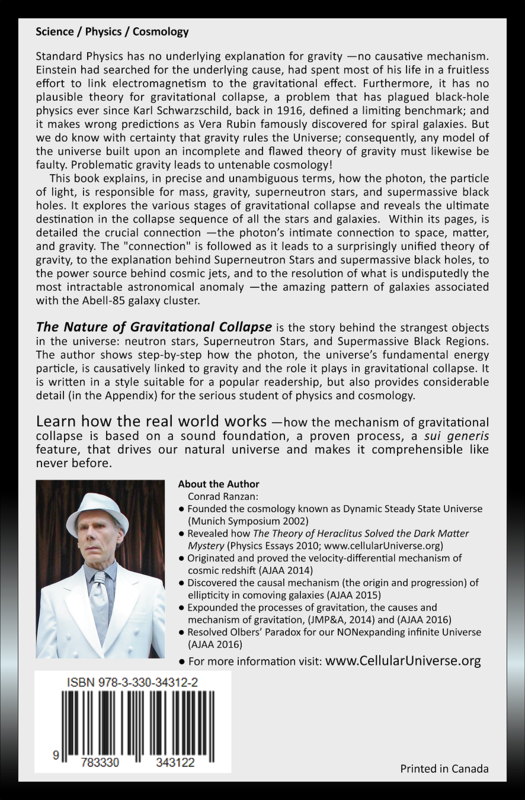 ■ The Natural of Gravitational Collapse details a perfectly natural gravitationally collapsed structure —without an infinitely dense core. … It describes a natural-type black hole for the natural DSSU —all based on the highly-successful DSSU aether theory of gravity. ■ Delves into the discovery that a totally collapsed body —a critical-state contiguous collapsed body— is not a black hole; it is not something with an empty region in its interior. Yet it still has a lightspeed boundary/horizon! and still complies with all the fundamental laws of nature. This is a stunning result. The interior is a solid mass of super-neutron density. ■ Provides a detailed discussion of the nature of end-stage collapse. The mass and radius are calculated for the final collapsed structure —the Superneutron Star. ■ Exploits a powerful unifying concept: the reasonable contention that all particles are configurations of the fundamental particle of energy—the photon. This unifying concept of a single fundamental form of energy (or energy particle) is crucial to understanding gravitation and underlies the success of DSSU theory, an all-encompassing cosmology. ■ Includes never-before-revealed aspects of neutron stars. ■ This book reveals the truth about black holes: Including the source of the energy of emission beams and astrophysical jets; the mechanism that generates gamma rays; the process by which Nature produces extreme-energy photons. ■ Resolves the long-standing mystery behind spiral galaxy rotation (the excessive speeds, the strange velocity curves, discovered by Vera Rubin) and the mechanism underlying MOND-gravity theory. This resolution came as an unexpected surprise to the author. It was a true eureka moment. ■ Exploits the principle —clearly obvious yet deeply profound— that a universe capable of creating matter is also capable of extinguishing it. 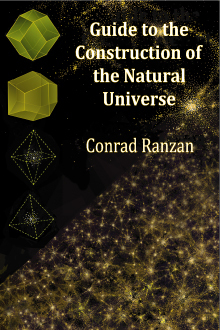 ■ As a way of validating the entire presentation, one of the chapters is devoted to resolving the mystery of the most inexplicable configuration of galaxy clusters to be found in all of astronomy and cosmology. This long-standing conundrum is so inscrutable, that no other cosmology theory has even attempted to explain it. … In the pages of this book, the reader will find the clear, simple, and compelling explanation —an absolutely fool-proof proof, if you will. Standard physics has no underlying explanation for gravity ---no causal mechanism. Einstein had searched for the underlying cause, had spent most of his life in a fruitless effort to link electromagnetism to the gravitational effect. Furthermore, it has no plausible theory for gravitational collapse, a problem that has plagued black-hole physics ever since Karl Schwarzschild, back in 1916, defined a limiting benchmark; and it makes wrong predictions as Vera Rubin famously discovered for spiral galaxies. But we do know with certainty that gravity rules the Universe; consequently, any model of the universe built upon an incomplete and flawed theory of gravity must likewise be faulty. Problematic gravity leads to untenable cosmology! This book explains, in precise and unambiguous terms, how the photon, the particle of light, is responsible for mass, gravity, superneutron stars, and supermassive black holes. It explores the various stages of gravitational collapse and reveals the ultimate destination in the collapse sequence of all the stars and galaxies. Within its pages, are the details of the crucial connection ---the photon’s intimate connection to space, matter, and gravity. The "connection" is followed as it leads to a surprisingly unified theory of gravity, to the explanation behind Superneutron Stars and supermassive black holes, to the power source behind cosmic jets, and to the resolution of what is undisputedly the most intractable astronomical anomaly ---the amazing pattern of galaxies associated with the Abell-85 galaxy cluster. The Nature of Gravitational Collapse is the story behind the strangest objects in the universe: neutron stars, Superneutron Stars, and Supermassive Black Regions. The author shows step-by-step how the photon, the universe's fundamental energy particle, is causatively linked to gravity and the role it plays in gravitational collapse. It is written in a style suitable for a popular readership, but also provides considerable detail (in the Appendix) for the serious student of physics and cosmology. Purchase: Printable mail-in order form. Price: $30. Free shipping to Canada & USA. 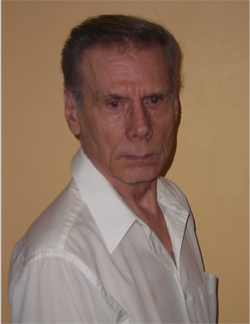 Conrad Ranzan is the Director of DSSU Research, Niagara Falls, Canada. ■ The Book’s core material is based on a research project that was peer reviewed and journal published in 2016. ■ Knowledge of mathematics is not essential for appreciating and understanding the concepts discussed. The presentation focuses on providing easy-to-follow text and an abundance of clear diagrams, and relegates almost all the math to the Appendix section. Furthermore, the math called upon to support the concepts is quite basic, mostly high-school level, some college level, and no advanced level. ■ Supporting calculations for “Core collapse” (in Chapter 6) dealing with the Moment of inertia and angular momentum.